The value of light therapy for treatment of Seasonal Affective Disorder (SAD) is well established1, 2, 3, but for those interested in pursuing this approach, the obstacles are the time to determine which product will be potentially most effective, and how to implement use to achieve a therapeutic effect. The purpose of this post is not to contain “everything”, just everything you need to know to how to find a product that works for you, and how to use it effectively (that’s a disclaimer). My interest in this topic is somewhat personal: as I age, I am becoming aware that during the winter, my mood changes. To describe my mood as “depressed” is a disservice to people experiencing depression. It’s more of a “joylessness” or “flatness” that I begin to notice after a few weeks of dark days (this post is prompted by the consistently gloomy autumn we’ve had this year). On one hand, this is a part of life (my grandmother had the same experience – she simply accepted it and carried on). On the other, as someone (Peter Beard, I think) remarked: “I wake up every morning because this is my one and only life” (or words to that effect, I’m paraphrasing from memory). Life is too short to let half the year(/your life) pass feeling flat. 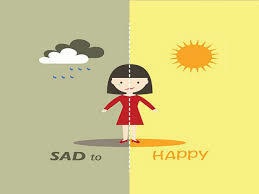 What is the Relationship Between Light and Seasonal Affective Disorder (SAD)? How Does Light Therapy for Seasonal Affective Disorder (SAD) Work? If the thought is that low levels of light during the winter, affect melatonin levels, affecting wakefulness and mood, the obvious course is to use a Light Therapy products during the day to replicate exposure to daytime light. Light therapy products have become much more accessible over the years. Early in my practice I recall recommending these products, but the options were very limited, and the cost was in the 300 CAD range (and that’s in early-aughts dollars). Today, many products are available in the 50 to 100 CAD range (a dilemma of a different sort). A blue light option (446-477 nm is the most potent wavelength region providing circadian input for regulating melatonin secretion6 – I haven’t seen a product offering this level of detail in their listing; this is more of a “FYI” for if you do). Many products deliver only white light. 10’000 lux of brightness. Some products deliver less (e.g., 7500 lux). Ultraviolet (UV)-free light (all the products I have seen are UV light-free). Ability to adjust light intensity. I have read reviews that describe certain products as delivering an uncomfortably bright light. Low glare. Most products I’ve seen appear to be “low glare”, but not all advertise this feature. Full spectrum light. Although full spectrum light confers no special benefit with regard to affecting mood when compared to white light, it offers what many consider a more pleasant (natural light-mimicking) light. Some products may emit a “hum” which may be annoying to some. Use of LEDs as a light source to minimize maintenance. Portability. Most of these units are quite small, but some have more a “notebook” design that lends itself to transport for use at home and at work. This is the product I’ve found that checks the important boxes (PureGuardian SPA50CA Light Therapy Lamp for those reading this after this link has expired). Apparently it does emit a hum at higher intensity settings, and uses a timer that must be reset after 30 minutes maximum (i.e., you are not able to simply set it beside you and work for an entire afternoon), but those are shortcomings I can live with. As written above, it is blue light specifically that suppresses melatonin. To reduce melatonin levels at waking, to increase alertness and “set” your circadian rhythm for the day, expose yourself to blue light, for 45 minutes at waking. These devices suggest use at a distance of 6 to 24 inches (ideally seven inches), so depending on your morning routine, you will have to either wake earlier (and retire earlier the night before) to rest, read, meditate, etc. in bed for 45 minutes while using the device on your nightstand; or set it in your washroom vanity and/or kitchen counter as you begin your morning routine. If you purchase a portable device, you can bring your unit to your workplace and position it on your desk, within 24 inches from where you sit (obviously this recommendation applies to those working in an office environment. These devices are not effective as “ambient light” – i.e., placed on the other side of the room as you go about your day). You can expose your self to bright (10’000 lux) white light for the day, but research suggests 30 to 60 minutes at least. My personal experience suggests between the hours of approximately 3:00 PM and 5:00 PM (the hours when in Toronto it begins to become perceptively darker), work well. If you are considering a second, white light device for workplace use, here are two options that you might consider, a sleek, lower cost, option; and a slightly more expensive, adjustable light intensity option. Lastly, there are obviously many other strategies that naturopathic medicine offers for management of Seasonal Affective Disorder (SAD), depression, anxiety and other mood disorders, that are outside the scope of a blog post, but if you are at the point you want to be aggressive about resolving your mood issues, get in touch. Thase ME. The new “blue light” intervention for seasonal affective disorder (SAD). Medscape [Internet]. [cited 2018 Dec 5]. Available at: https://www.medscape.org/viewarticle/550845?src=ppc_google_rsla_ed_ous_9mo&gclid=Cj0KCQiA6JjgBRDbARIsANfu58GtBXQyoQes-QHyfMws5tvmpq4UYR72kn4aVHKFIUgg_mPusQtl7q4aAnljEALw_wcB. Menculini G, Verdolini N, Murru A, Pacchiarotti I, Volpe U, Cervino A, et al. Depressive mood and circadian rhythms disturbances as outcomes of seasonal affective disorder treatment: A systematic review. J Affect Disord. 2018 Dec 1;241:608-626. Srinivasan V, Smits M, Spence W, Lowe AD, Kayumov L, Pandi-Perumal SR, et al. Melatonin in mood disorders. World J Biol Psychiatry. 2006;7(3):138-51. Sargis RM. An overview of the pineal gland: maintaining circadian rhythm. endocrine web [Internet]. [cited 2018 Dec 5]. Available at: https://www.endocrineweb.com/endocrinology/overview-pineal-gland. National Sleep Foundation [Internet]. Melatonin and sleep. [cited 2018 Dec 5]. Available at: https://www.sleepfoundation.org/sleep-topics/melatonin-and-sleep. Brainard GC, Hanifin JP, Greeson JM, Byrne B, Glickman G, Gerner E, et al. Action spectrum for melatonin regulation in humans: evidence for a novel circadian photoreceptor. J Neurosci. 2001 Aug 15;21(16):6405-12. Available at: http://www.jneurosci.org/content/21/16/6405.long. Lighting Research Centre [Internet]. How valid are the claims regarding full-spectrum lighting sources? [cited 2018 Dec 5]. Available at: https://www.lrc.rpi.edu/programs/nlpip/lightinganswers/fullspectrum/claims.asp.